Flossing is a sensitive subject—its mere mention elicits pangs of guilt and whiny excuses from alleged grown-ups across the nation (“I know it’s important, it just takes so long”). So if dental professionals can get you to floss at all, it’s generally considered a win. 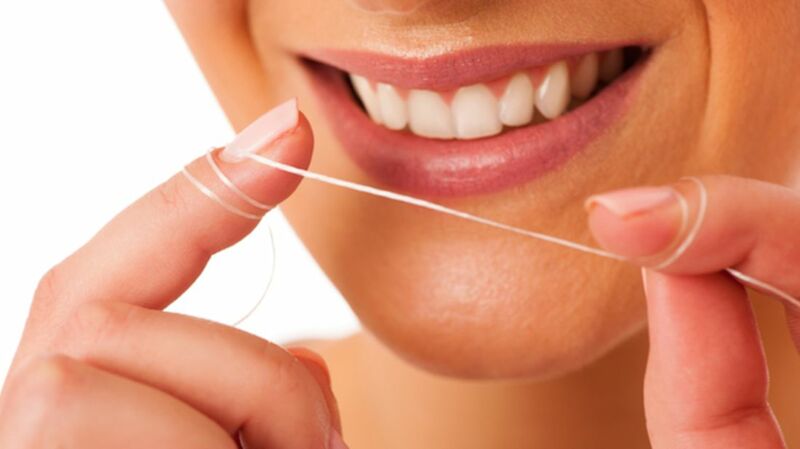 “[Flossing is] singularly the most important feature of cleaning our teeth,” Dr. Larry Kozek told Morning Edition’s Patti Neighmond on Monday’s show. But your typical brush, floss, rinse routine may not be the best for your teeth: Kozek recommends flossing before you brush. Dr. Edmond R. Hewlett, a spokesman for the American Dental Association, gave the New York Times another reason to floss before you brush: You get the dreaded task out of the way first. “Let’s face human nature, if you’re going to skip one, which one will you skip?” he said. This order of operations is not a unanimous preference, however (this isn’t a four-out-of-five-dentists-recommend situation). Dr. Philippe Hujoel, a professor of oral health sciences at the University of Washington in Seattle, tells the New York Times that he advises his patients to brush first. According to him, brushing fills your mouth with fluoride (from your toothpaste), which the floss can then help push between your teeth. So, kids, where does that leave us? Floss once a day, whenever you like. But if flossing feels like a chore, doing so before you brush your teeth might improve your chance of sticking to the practice. For more flossing and brushing advice—including the most important things to look for in a toothpaste—listen to Neighmond’s full Morning Edition segment.